How cute! 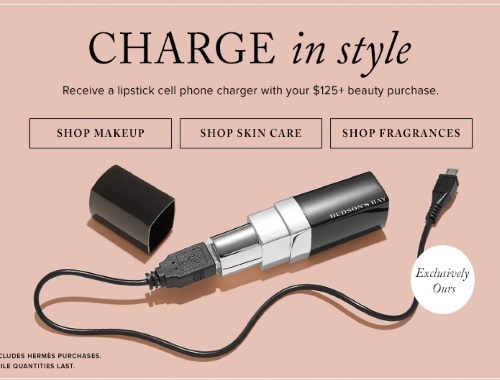 Hudson's Bay is offering a Free Lipstick Cell Phone Charger with any $125 beauty purchase online! This gift with purchase includes one power bank and one micro USB cable. You will be prompted to add this to your cart at checkout if your order is applicable. Available for a limited time. Click here to view our other Hudson's Bay deals posts.